I think it was Greil Marcus who observed that Michael Jackson was a god who became a mere celebrity, and there is a terrible truth to this observation. For the last quarter century of his life—that is, the second half—Michael Jackson’s career seemed like nothing so much as an apocalyptic spiral that served as an illustration of the Platonic allegory of the consequences of the inevitable deviation from the Good. He resembles no rock star so much as Elvis, for reasons, I suspect, that will emerge in those inevitable biographies sure to be published, controversial and otherwise, in the coming years. Who shall be to Michael Jackson what Albert Goldman was to Elvis? Jacksonism’s biggest year, arguably, was 1984, the year during which the tidal wave crested and broke, but by then he could claim a world record no one, not even Elvis or the Beatles, had managed to achieve: he had made one monumental, colossal LP—THRILLER, produced by Quincy Jones—which was the source of more hit singles in the Top Ten (seven) than any other record, rock or otherwise, in history. He even trumped that claim to immortality by marrying, briefly, King Elvis’s only child, Lisa Marie Presley, in 1994. 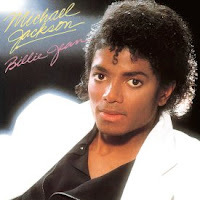 THRILLER contained “Billie Jean,” a tremendous single and perhaps the best song he ever recorded. Michael Jackson’s future career could be read in that song, not only in its lyrical substance (about the perils of stardom), but in what he did with the song, subsequently transforming it into “You’re a Whole New Generation,” that is, a Pepsi commercial jingle. (He did the same thing with other of his songs as well.) The anger and indignation of “Billie Jean” was transformed into a mere soda pop advertisement, but his legions of fans forgave him—as they always did. For THRILLER sold so many copies in its first year and a half of release that its significance was not only measured in total sales, but in terms of its social impact and in its implications. Elvis and the Beatles did that, too, of course, but the phenomenal popularity of that album even surpassed their vast sales. Michael Jackson’s fascination with the Peter Pan myth became a well-known and idiosyncratic fact of his biography; he even built Neverland Ranch, a juvenile’s attempt (not a juvenile attempt) to equal Hearst Castle. But since Michael Jackson died a celebrity and not a god, it’s unclear whether Neverland Ranch will be named a National Historic Landmark like Hearst Castle was; it may even be torn down. Nor is it clear whether Neverland will be transformed into the shrine to Jackson that Graceland is to Elvis. While Elvis spent compulsively, lavishly, and extravagantly, he never built a shrine to himself remotely like Neverland: compared to the other homes of the rich and famous, Graceland is a very modest home. Elvis never well understood the American myth that he represented; he wore sideburns, for instance, because he thought they made him look like a truck driver. Michael Jackson, likewise, misread the myths he embodied; while he may have had a fascination with the Peter Pan myth, he didn’t understand the myth very well at all. For Michael Jackson reminds me of no one so much as Tennyson’s Tithonus, the mere mortal who fell in love with Aurora, immortal Goddess of the Dawn. Because he had fallen in love with an immortal goddess, Tithonus asked the gods for Eternal Life. His critical mistake, though, was that he forgot to ask for Eternal Youth: only a fool tries to negotiate with the gods, that is, Fate. Tithonus, as Tennyson tells his story, just grew older and older, more and more decrepit, enjoying the blessings of Eternal Life but not that of Eternal Youth, until he haunted the woods alone, afraid to show himself to other mortals, while his body slowly, but not quite, disintegrated. His blessing was a singular curse, one that no one, not even Peter Pan himself, would ever have to suffer. Even late his career, just before the train was about to run off the tracks, Elvis could laugh, and laugh heartily, perhaps most deeply, at himself. I don’t remember Michael Jackson that way, and perhaps that makes all the difference. I don't have anything to say except that I always come here when I want to hear the truth about artists. Your post was insightful and not media-like. thanks.